It's taking all my resolve to not give in. 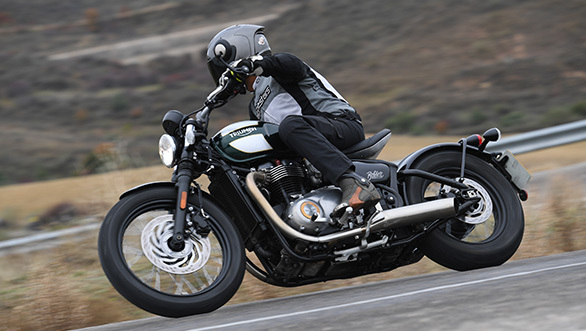 No other motorcycle has made me want to hipster-ise myself as much as the Triumph Bobber is doing right now. And honestly, the only thing stopping me is memories of what a cracked open head feels like. But such is the power of the Triumph Bobber. It makes you want to throw caution to the wind and become part of the carefree ways of the '40s, when the bobber concept was born. The idea was to strip down your motorcycle to the bare minimum. Anything that wasn't needed to make the motorcycle go fast or come to a stop was thrown in the bin. Heck, even the bits to make it stop were tossed sometimes. This meant single seats, hardtails, flat 'bars, chopped fenders and an engine that was tuned to just short of exploding. 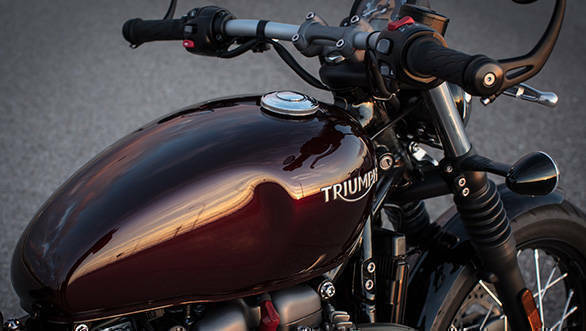 Take one look at the Bobber and you'll know Triumph has left no leaf unturned. It always had the classic lines, so the DNA was always there. Now all that had to be done was to convert that T120 DNA into a bobber. It took Triumph three years to get this done. But they've gotten it right. 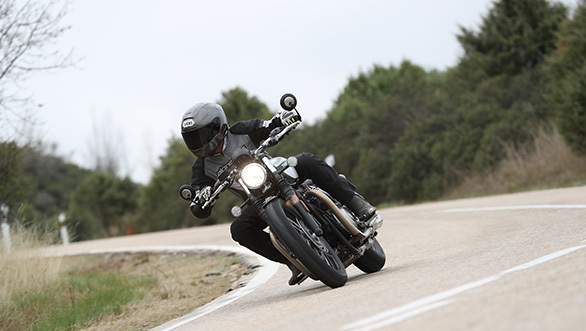 So right that the Bobber has received twice as many bookings after being unveiled as the Thruxton R did. And no surprise. Just look at it. Classic Bonneville lines with a stripped-down, bare look. The fenders are chopped, the tail looks like a hardtail even though it isn't, the handlebar is flat and the beautifully sculpted seat almost makes you feel guilty that you are about to park your backside on it. 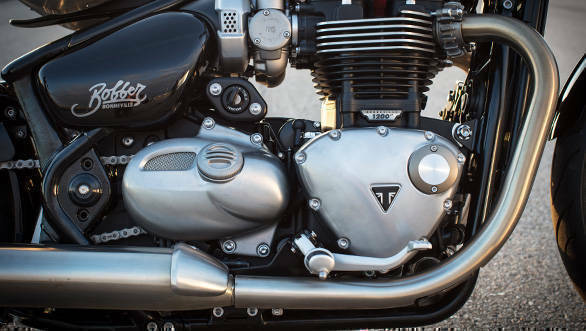 All the elements on the bike have been executed flawlessly and with trademark Triumph quality. The paint finish is immaculate, the panels all align perfectly and it retains that unmistakable British soul that everything from Hinckley possesses. But what's fantastic is that the Bobber isn't just about looking good. It also works very well. 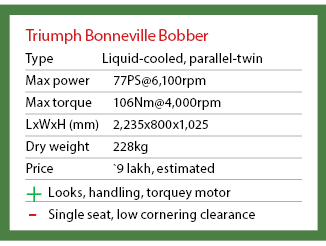 Triumph spent a great deal of time and effort into ensuring that the Bobber worked well ergonomically and dynamically. The starting point, of course, was the motor, and they chose to work with the T120's 1200HT. So it gets all the great bits like ride-by-wire, traction control and two riding modes (Rain and Road). However, with a remap, new air box, intake, exhaust and output shaft, the Bobber makes 106Nm at 4,000rpm which is 2 per cent more than the T120. It also has a flatter torque curve which stays above 100Nm from around 2,750rpm to 5,200rpm. The peak power has dropped a tiny bit, but it makes more power in the mid-range than the T120. The effect of this is evident the moment you start riding. The Bobber is mighty quick off the line. The wider torque spread also makes acceleration readily available even from low revs in high gears. And despite this boost in performance, it retains that butter-smooth throttle from the T120. The engine still feels refined and has all the characteristics of a British twin, especially the sound. But what really amazed me is the way this thing handles. The Bobber runs an all-new frame. The front suspension looks the same as the T120 but is running different spring and damping rated. The rear is an all-new monoshock that uses a 'swing cage' that makes the rear look like a hardtail. The ride is firm but it isn't harsh. It soaks up whatever bumps we could find around Madrid without any drama. 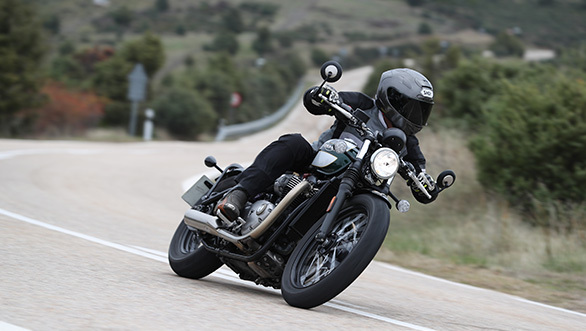 Triumph has made some changes to the steering geometry too.The Bobber is running slightly more rake than the T120, but loses over 17mm of trail. It is a quick steering motorcycle that doesn't need a heavy hand to change directions. But unlike the T120, it has better in-corner manners. It needs barely any input to the 'bars to keep its cornering attitude. For something that looks so retro, this Bobber really goes like stink. However, the lack of cornering clearance does get in the way. The first few times you get going fast, you'll be scraping the feeler bolts on both side within no time. And keep this up and you'll soon be scraping the underside of those beautiful slash-cut exhausts. But as I soon learned this can easily be remedied by hanging off a bit more. Agreed, you won't look as retro doing it, but hey, it's better than scraping up your Bobber. 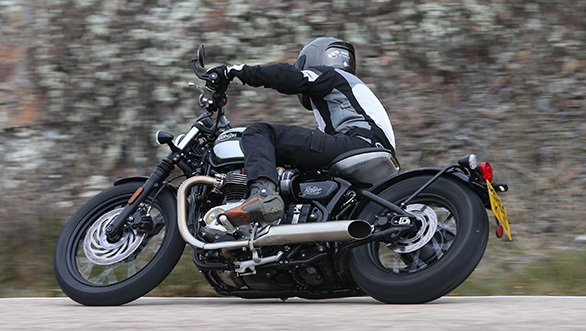 For all its excellent dynamics, the Bobber's weak link is its brakes. The Bobber doesn't get the twin rotors up front like the T120. Instead, it makes do with a single 310mm disc with Nissin two-pot callipers. The brakes could definitely do with some more bite and feel. And for a motorcycle that weighs well over 230kg, a bit more would have felt great. That said, it's not like it doesn't stop when it should. It's just that for a motorcycle that can be truly hustled, better brakes would have gone a long way. 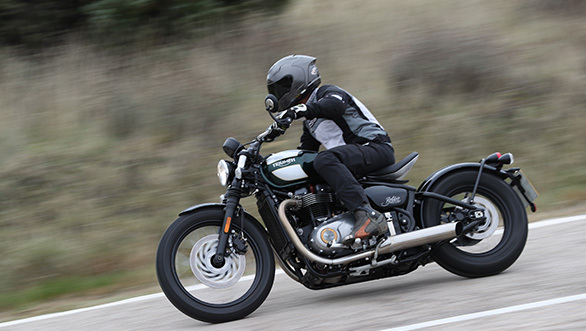 The Bobber is one of the most special motorcycles that Triumph makes right now. Personally, I feel it oozes more character than even the Thruxton. And if that's not enough character for you, you can even outfit the Bobber with the Quarter Mile Bobber or the Old School Bobber inspirations kits. 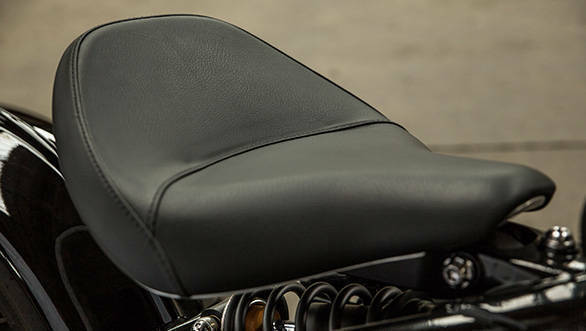 The Quarter Mile kit gets you clip-ons, a different seat and other custom bits. But my personal favourite is the Old School Bobber. 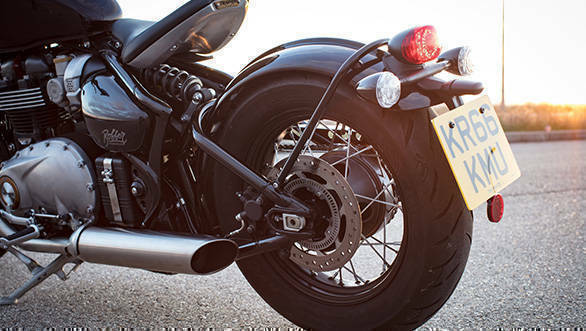 This kit comes with ape hanger 'bars that transform the motorcycle completely. It makes me go weak in the knees. And this coming from someone who isn't a fan of cruisers. But something about those ape hangers ticks all the right boxes for me. The Bobber has me seriously questioning my priorities. For the first time, I'm wishing I was one of those carefree motorcyclists who don't mind the occasional face plant. Then again, it's not like non-hipsters cannot ride the Bobber. 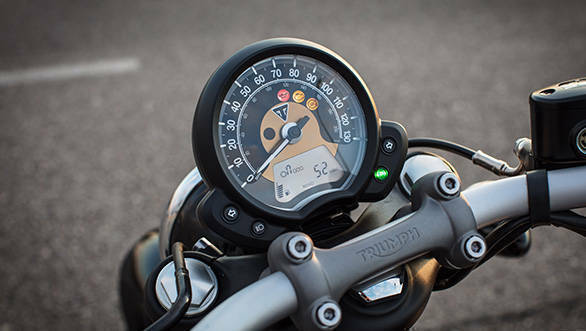 Triumph is all about the ride, after all, isn't it?